If you’re tired of people saying Chennai is a ‘conservative city’, we feel you. Namma Chennai has its own share of fun places and here are a few that you don’t want Amma and Appa to know about. Indulge in some hookah at Baristo Brew in Nungambakkam, they’ve got an extensive range of hookah flavours including the famous ‘paan’. Try chocolate hookah if you’re mad about chocolate. Trying it for the first time? Pick from their simple but amazing fruity flavours. Let us know if it got you hooked the very first time. Here’s a list of places with hookah in Chennai. 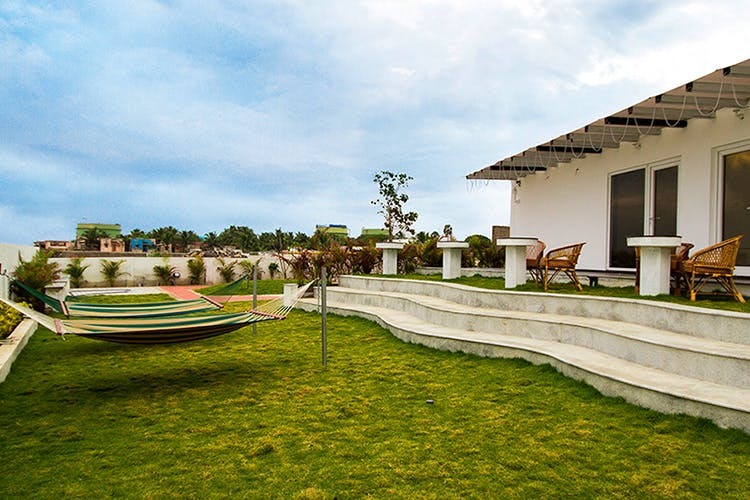 B’s Hive - Kadal is a huge villa right by the ocean on East Coast Road, and the convenient location is to entice you and your gang into those #vacayvibes. This white villa can accommodate more than 10 people and has cane seats, hammocks, jacuzzi, and all things beachy. Read more about this place here. On one of the date nights, hit up Prarthana drive-in theatre in Injambakkam. Watch a movie under the stars with your bae by the beach here. They play two shows a day and all you need to do is find a spot to park in front of the huge 4,500 sq. ft. screen and get cosy. It’s difficult to stay the night with bae in Chennai, but we’ve got the perfect option for you. Stay at Surf Turf, known for their pretty, beach-side rooms and yummy breakfast. Wake up to the sunrise, have cake by the ocean, and rejoice without any judgemental looks and stares coming your way. Read more about Surf Turf here. You can get alcohol anytime you want at Tasmacs across the city. The one in Guindy is frequented most. Disclaimer: If you're a woman, make sure you take a man with you as these stores can be unsafe in the nights. You can hit up the Tasmac in Phoenix MarketCity, it's always safe to get liquor there.